The AHRQ Safety Program for Improving Antibiotic Use is led by the Johns Hopkins Medicine Armstrong Institute for Patient Safety and Quality and NORC at the University of Chicago, and is funded and guided by the Agency for Health Care Research and Quality. We are also collaborating with, and advised by, professional societies, state hospital associations, nonprofit organizations, and others focused on improving patient safety and health care quality. 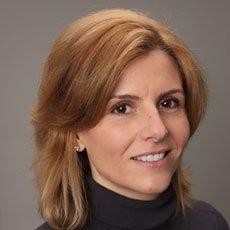 Sara E. Cosgrove, MD, MS, is a Professor of Medicine in the Division of Infectious Diseases at the Johns Hopkins University School of Medicine and has a joint appointment in the Department of Epidemiology at the Johns Hopkins Bloomberg School of Public Health. She serves as the Director of the Department of Antimicrobial Stewardship and the Associate Hospital Epidemiologist at the Johns Hopkins Hospital. Dr. Cosgrove’s research interests include the epidemiology and outcomes of antimicrobial resistance, the development of tools and programs to promote the rational use of antimicrobials, the prevention of hospital-acquired infections and the epidemiology and management of S. aureus bacteremia. Her recent research focuses on strategies for implementation of antimicrobial stewardship activities across all healthcare settings. She was member of the President’s Council of Advisors on Science and Technology Working Group on Antimicrobial Resistance and is a voting member to the Presidential Advisory Council on Combating Antibiotic-Resistant Bacteria. She is currently serving as President of the Society for Healthcare Epidemiology’s Board of Directors. Pranita Tamma, M.D., M.H.S. is the Co-PI on The AHRQ Safety Program for Improving Antibiotic Use and an Associate Professor of Pediatrics, Division of Infectious Diseases and Director of the Pediatric Antimicrobial Stewardship Program at the Johns Hopkins University School of Medicine. As Director of Antimicrobial Stewardship, she assists clinicians with optimizing the selection, route, dose, and frequency of antibiotics, developing guidelines to guide the appropriate and judicious use of antibiotics, and monitoring patient outcomes after implementation of these practices. Her research focuses on clinical outcomes related to antibiotic administration strategies in both children and adults and the incorporation of rapid diagnostics to assist with the early optimization of antibiotic therapy. She is particularly interested in improving diagnostics and therapeutic choices for infections caused by multidrug resistant gram-negative organisms. 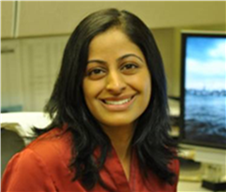 Dr. Tamma is a Committee Member of Society of Healthcare Epidemiology (SHEA) and The Pediatric Infectious Diseases Society (PIDS) Antimicrobial Stewardship Committees. Dr. Tamma serves as an advisor to the Clinical Laboratory Standards Institute Antimicrobial Susceptibility Testing Committee and an advisor for The Centers for Diseases Control and Prevention efforts to improve inpatient antibiotic prescribing. 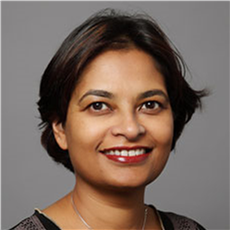 Prashila Dullabh, MD is a Senior Fellow at NORC at the University of the Chicago. As Co-Investigator of the AHRQ Safety Program for Improving Antibiotic Use study, Dr. Dullabh will serve as the overall NORC lead, working closely with JHU staff and QIN-QIO partners on recruitment, implementation, and overall project oversight. Dullabh is a clinician with more than 15 years of experience in healthcare and health services research. Dullabh has led several technical assistance, evaluation, and strategic projects for federal agencies and foundations. Recently her work has focused on patient safety interventions in ambulatory and inpatient care related to community-acquired pneumonia, opioid prescribing, and hospital-acquired conditions. Dullabh has also been extensively involved with projects focused on patient-centered outcomes research. She has directed projects for the Patient-Centered Outcomes Research Institute (PCORI), assessing research for implementation in clinical settings to improve health systems. She recently completed a PCORI- systematic review of antibiotic stewardship interventions for acute care. She has also led strategic projects focused on HHS-investments in PCOR data infrastructure. Dr. Jump is an Infectious Disease physician at the Louis Stokes Cleveland Veterans Affairs Medical Center and Assistant Professor of Medicine at Case Western Reserve University. She has research support from the VA and AHRQ. Her long-term academic interests are to support antimicrobial stewardship in post-acute and long-term care in VA and community-based long-term care. She has developed educational interventions for providers and nursing staff working in post-acute and long-term care. She also serves on the SHEA Antimicrobial Stewardship Committee and the Infection Advisory Committee for AMDA—the Society for Post-Acute and Long-Term Care Medicine. Jeffrey A. Linder, MD, MPH, FACP is a general internist and primary care clinician-investigator. Dr. Linder is the Chief of the Division of General Internal Medicine and Geriatrics and the Michael A. Gertz Professor of Medicine at the Northwestern University Feinberg School of Medicine. His research focuses on the care of ambulatory patients with acute respiratory infections (ARIs) – the number one symptomatic reason for seeking medical care in the United States – and the appropriate use of antibiotics in ambulatory care. Dr. Linder has expertise in electronic health records and clinical decision support as well as using behavioral science and social psychology to understand and change behavior. Dr. Linder serves on the “Outpatient Antibiotic Use Target-Setting Workgroup” which was convened by the Centers for Disease Control and Prevention and The Pew Charitable Trusts; the Antibiotic Stewardship Research Workshop Planning Committee of the Society for Healthcare Epidemiology of America; and is a standing member of the Agency for Healthcare Research and Quality’s Healthcare Safety and Quality Improvement Study Section. 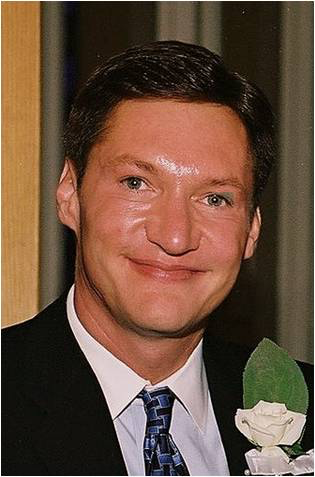 Dr. Linder received his medical degree from Northwestern University School of Medicine and a Masters of Public Health degree from the Harvard School of Public Health. Morgan J. Katz (MD, MHS) is an infectious disease specialist and a third year fellow at Johns Hopkins University. Her career focus is in hospital epidemiology and infection control in the elderly. She received her medical degree from University of Maryland School of Medicine, and a Masters in Health Science at Johns Hopkins Bloomberg School of Public Health. Sara Keller, MD, MPH, MSHP is a practicing infectious diseases physician at Johns Hopkins Hospital. She is a researcher in implementation science, quality improvement, and patient safety. She focuses on improving antibiotic stewardship in ambulatory clinics. 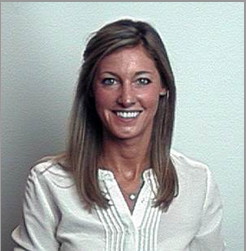 Her research also focuses on improving the quality of the transition of care in patients discharged from the hospital on outpatient parenteral antibiotic therapy (OPAT) and with central venous catheters, focusing on preventable reactions to the antibiotics and on preventing complications of the central venous catheters. She also directs the Johns Hopkins Hospital OPAT clinic. She mentors internal medicine housestaff in quality improvement and patient safety projects as Director of the Quality Improvement and Patient Safety Pathway. 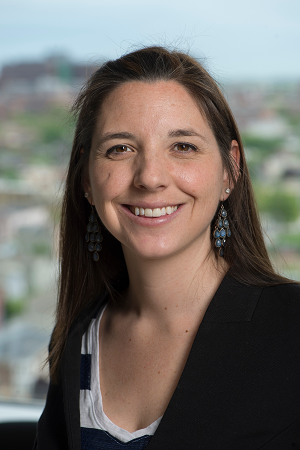 Lisa Lubomski, PhD is an Assistant Professor at the Johns Hopkins University School of Medicine, Department of Anesthesiology and Critical Care Medicine and Core Faculty in the Johns Hopkins Armstrong Institute for Patient Safety and Quality. Dr. Lubomski received her doctorate in public health from the Johns Hopkins Bloomberg School of Public Health. 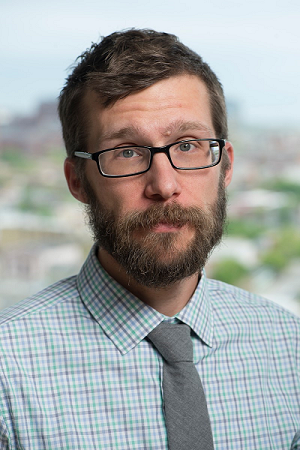 As a health services researcher and implementation scientist, Dr. Lubomski’s activities and interests focus on improving healthcare quality and outcomes through the dissemination and implementation of evidence-based guidelines and improving teamwork, communication and patient safety culture through the Comprehensive Unit-based Safety Program (CUSP). She participated as a co-investigator on a number of federally funded, large scale collaborative studies, including: Michigan Keystone ICU, On the CUSP: STOPBSI, On the CUSP: STOP CAUTI, CUSP for Safe Surgery (SUSP), CUSP for VAP/EVAP, and CUSP for Mechanically Ventilated Patients-Ventilator Associated Pneumonia. Dr. Lubomski co-principal investigator on an ambulatory care focused collaboration with the American Medical Association, “Improving Health Outcomes: Blood Pressure (IHO:BP).” The goal of IHO:BP is the development and implementation of an ambulatory care focused, evidence-based curriculum and associated tools, for improving care for patients with uncontrolled hypertension. She is a co-investigator on a PCORI-funded project focused on eliminating disparities in care for patients with hypertension, the CUSP for Antibiotic Stewardship and CUSP for Early Recovery After Surgery projects. David Thompson, DNSc, MS, RN is an Associate Professor, educator, clinical and health outcomes researcher at the Johns Hopkins Armstrong Institute for Patient Safety and Quality. Dr Thompson is the Director of Patient Safety Education in the Division of Anesthesiology and Critical Care Medicine. His research concentration is in clinical patient outcomes, patient safety and quality improvement initiatives, adverse event reporting, The Comprehensive Unit-Based Safety Program (CUSP) teamwork and communication tool development and Peer to Peer Assessment. He has vast experience with critical care, cardiac care and inpatient populations. He has experience with both quantitative and qualitative methods in research design and evaluation. He has led several quality improvement collaborative in both hospital acquired infection reduction and improvements in cardiac care. He therefore has 15 years’ experience in both translating evidence into practice and implementation science. Dr. Thompson is a recipient of a Robert wood Johnson Foundation Grant from the Interdisciplinary Nursing Quality Research Initiative (INQRI) program. He was principal investigator of this nursing driven intervention ”Linking Care and Context of Care to Blood Stream Infection Reduction" This two year collaborative to reduce central line associated blood stream infections (CLABSI) and improve safety culture using the Comprehensive Unit-Based Safety Program (CUSP). The collaborative involved 45 ICUs from 33 Hospitals in 12 states. The study reduced blood stream infections by 81% in both samples. Dt. Thompson is Principal investigator/project manager for the Cardiothoracic Surgical Translational study, an Interdisciplinary cardiac surgery project to reduce hospital associated infections across each clinical area in 17 hospitals across the United States. Dr. Thompson has also served as an expert in patient safety in a case- control retrospective analysis of adverse events in the Severely Mentally Ill (SMI) patient when hospitalized for somatic illness. He has disseminated his findings both nationally and internationally at conferences and through publications. 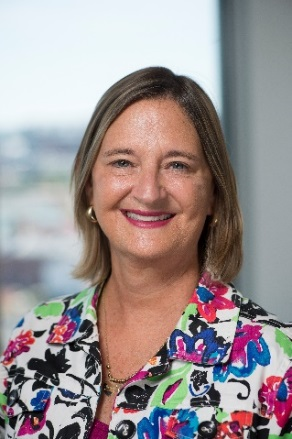 Kathleen Speck is the Research Project Administrator for the Johns Hopkins Armstrong Institute for Patient Safety and Quality (AI). She joined AI in 2011, and prior to the current AHRQ Safety Program for Improving Antibiotic Use project, she managed the two ventilator-associated pneumonia prevention projects, CUSP for VAP and CUSP for MVP-VAP. She came to AI with nine years of research management experience from the Department of Hospital Epidemiology and Infection Control at Johns Hopkins Hospital (JHH). Mike is a cultural anthropologist with expertise in ethnography and public understandings of science. He was hired in 2017 as a Qualitative Researcher for the Armstrong Institute and is a certified CUSP Implementation Coach. His primary responsibility on this project is conducting and analyzing interviews with program participants and frontline staff. In the past he has studied children's understandings of living things in southern Mexico and the implementation of science education standards in Tennessee. Meghan M. Walrath is currently an Instructional Designer (ISD) with Johns Hopkins University in the Armstrong Institute for Patient Safety and Quality. Prior to her present position, she worked as a computer/technology teacher at Green Acres School in Rockville, MD and then an ISD for Aerotek in the Professional Development Department. Meghan graduated in 2006 from the University of MD, College Park where she earned a Bachelor’s of Arts double major in Visual Arts and Advertising. She also holds an Instructional Systems Development Certificate and in December 2017 she will complete her Masters in TESOL from the University of Maryland, Baltimore County. As a consultant, she provides graphic design and instructional design services to local organizations. Mayo Levering is a Senior Research Coordinator who joined the Johns Hopkins Armstrong Institute for Patient Safety and Quality (AI) in 2011. She has worked on several CUSP-related projects to reduce the harms associated with mechanical ventilation including VAP. Her most recent experience includes work on the AHRQ Safety Program for Improving Antibiotic Use, and participating in an Outpatient Parenteral Antimicrobial Therapy (OPAT) study to decrease complications of intravenous central catheters in the home. 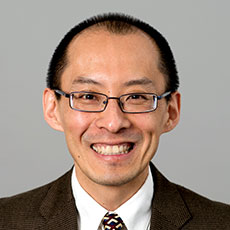 Roy Ahn, MPH, ScD is the Associate Director for the Public Health department at NORC at the University of Chicago. In conjunction with the Johns Hopkins University, Ahn is the evaluation lead for the AHRQ Safety Program for Improving Antibiotic Use study. He is currently the Project Director of one of the evaluation portfolios of Center for Medicare and Medicaid Services’ Health Care Innovation Award projects, and recently co-authored a review article on antibiotic stewardship programs for the Patient-Centered Outcomes Research Institute (PCORI). He has worked for 20 years at the intersection of program leadership and research in the areas of health policy, nonprofit/civil society organization management and strategy, and public health innovation. Prior to NORC, he served as the founding Associate Director of the Division of Global Health & Human Rights in the Massachusetts General Hospital’s Department of Emergency Medicine, where he helped design, implement, and evaluate health innovation programs. He was also Assistant Professor of Emergency Medicine at Harvard Medical School. He has focused on health care innovations during his career; he was Co-Editor of a textbook on this topic, Innovating for Healthy Urbanization (Springer 2015), and was a contributor to the World Health Organization’s 2016 Global Report on Urban Health. He holds a doctor of science degree from the Harvard School of Public Health. 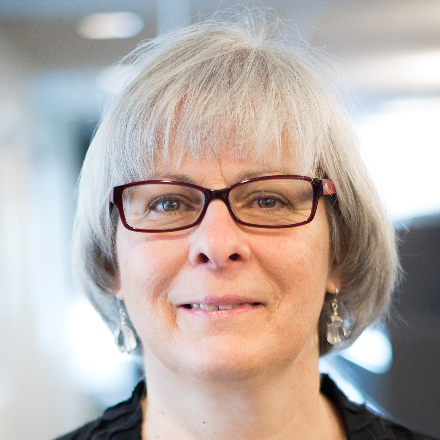 Laurie Imhof, M.P.P, is a Senior Research Director at NORC. She has over 14 years of experience managing research for government and private agencies, and has worked on a large variety of household and healthcare provider surveys. Imhof is currently the project director for the Dissemination of AHRQ’s On-Time Pressure Ulcer Prevention Program in Nursing Homes project, conducted for the Agency for Healthcare Research and Quality (AHRQ). She is responsible for managing the project budget and tasks, including facility recruitment and enrollment, facilitator training, program implementation, quantitative and qualitative analysis, and evaluation. Yue Gao, M.P.H., Research Scientist at NORC. Yue has a background in biostatistics and serves as the quantitative researcher and analyst for multiple projects. Her expertise includes study design, analytic method development, data management, as well as statistical modeling and programming. Her current projects include Next Generation ACO Evaluation, AHRQ’s Patient Safety Program for Improving Antibiotic Use, and Estimating the Additional Hospital Cost and Mortality Associated with Hospital-Acquired Conditions. 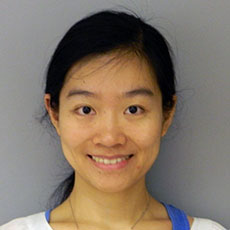 Prior to joining NORC, Yue served as a Senior Statistician in the University of Chicago, Department of Medicine, where she worked with several investigators on topics such as safety net, health disparities, and diabetes management. Yue received her M.P.H from Yale University with a major in Biostatistics and B.S. from Peking University in China with a major in Biology.